Who doesn't love an abundance amount of toppings on their pizza pie? Chicago pizza lovers search the whole city looking for their go-to pizza joint but how can you decide with so many options? 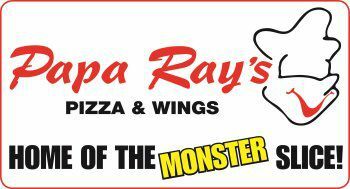 At Papa Ray's Pizza and Wings, you can kiss your search goodbye. Logan Square pizza lovers are celebrating over the great value and tasteful ingredients of this Chicago-land pizza spot. So give your wallet a break and get the most bang for your buck. With our promotions, awesome quality, and amazing toppings, you can consider your search for great food over. Dont forget--we have franchise opportunities waiting for you! Take a leap of faith and invest in a Papa Ray's Pizza and Wings store today.